Because of the distance between the stations, the LOFAR telescope uses a GPS-satellite-based clock/time source. 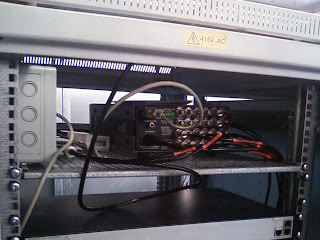 The GPS receiver generates the time signal for the local computer and a 1-pulse per second signal (1PPS). Although not accurate over short timescales, this can be used to synchronise the station. For short times, a Rubidium reference is used to generate a 10 MHz reference signal. This is used by all the equipment to ensure simultaneous and accurate sampling throughout the system. 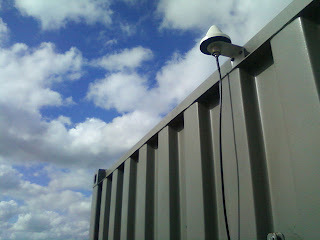 Caption 1 : The small GPS-antenna atop the RF-container. 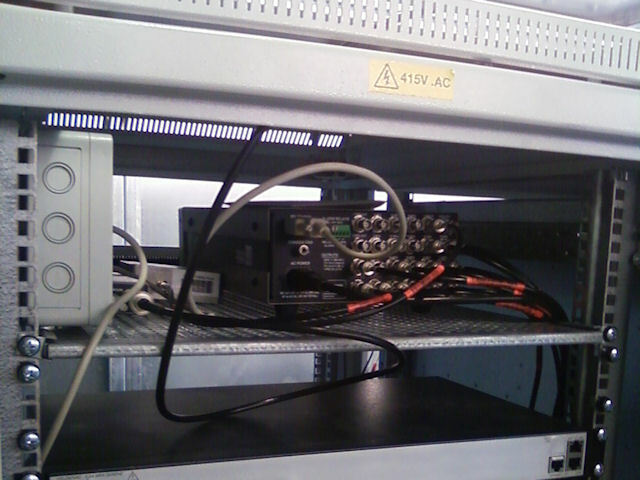 Caption 2 : The Rubidium reference source within the equipment racks.